Flashes are the essential accessory to dress your socks in the same colour as your kilt! 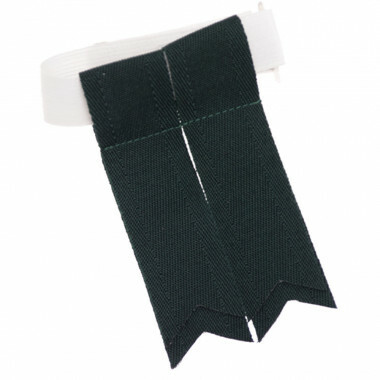 The flashes are 2 pieces of doubled fabrics (flash) which are attached with an elastic band which is held back by a hook and a clasp on the back of the socks. The flashes are available in different colors to match with your kilt. 100% wool.